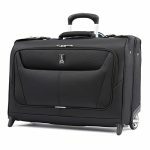 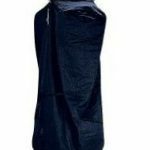 Keep your cherished gowns and dresses protected in this premium quality garment bag from Your Bags. 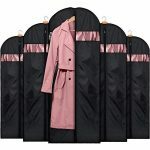 Wedding and prom dresses symbolize special memories and moments in our lives so we provide a high quality garment bag that allows you to keep them protected during travel and storage. 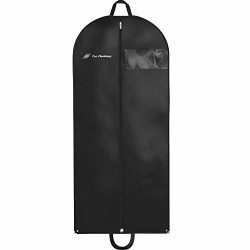 This garment bag makes preparing for formal affairs less stressful. 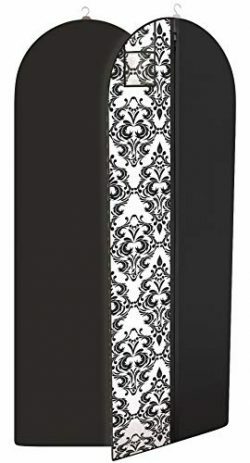 Prepare to turn heads! 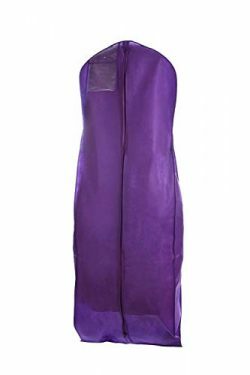 You’ll feel at ease knowing that your beautiful dress shielded from damage and destruction. 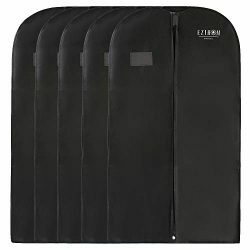 While most garment bags are made from a 60 GSM ours are constructed from a super durable non-woven 80 GSM that makes our bags stronger and more protective. 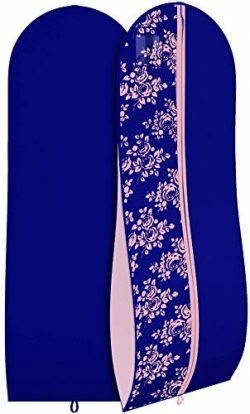 Measuring at 72 x 24 inches with a 10 inch tapered gusset it provides enough space for ball gowns and dresses with full skirts without causing any damage. 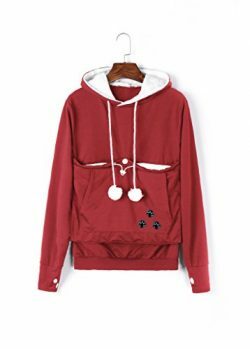 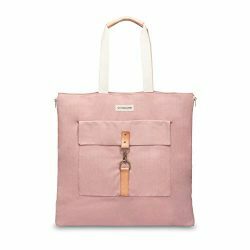 A bottom loop that fastens to your hanger to join both ends makes it easy to carry and store without dragging on the ground. 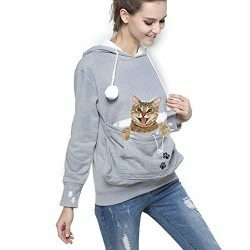 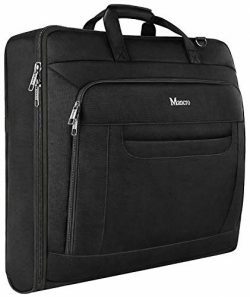 While dual slide zippers allow you to quickly access its contents from both ends. 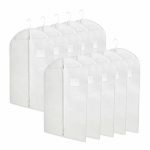 A large visible hanging ID pocket makes it easy to identify your bag and whatever you keep stored inside of it. 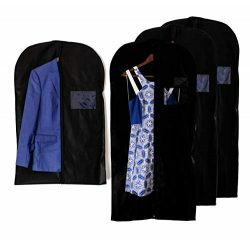 Travel in style as our garment bag comes in a variety of colors for you to choose from and express your unique style. 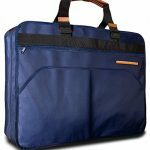 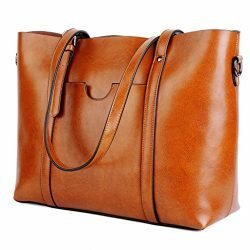 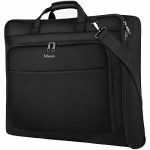 This bag doesn’t just hold dresses either it also easily functions as a garment bag for men’s suits and clothing. 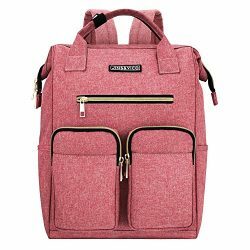 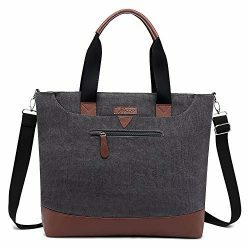 A roomy interior means you can fit virtually any type of clothing in this bag you can smartly transport and store multiple small clothing items. 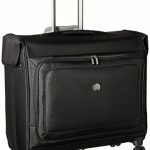 Store apparel in this bag and keep it protected from moth damage and dust for many years. 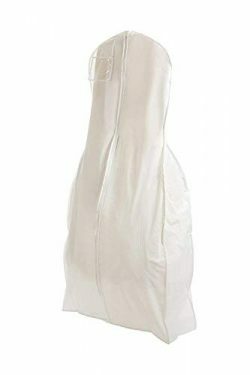 TAPERED GUSSET & ROOMY INTERIOR: The bottom of the bag expands and stretches out to accommodate puffy ball gowns and evening and bridal dresses with a tulle, crinoline or bustle. 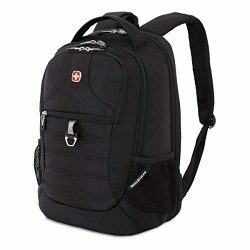 HIGHEST QUALITY: Made from a durable material that is water, rip and tear resistant. 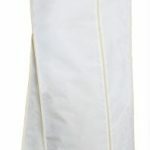 Compare our non-woven 80gsm polypropylene to 60gsm used by most other competitors. 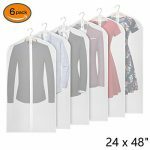 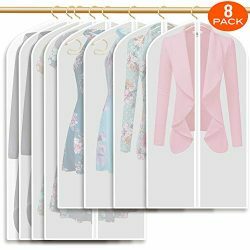 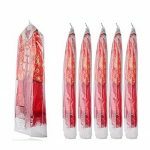 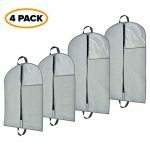 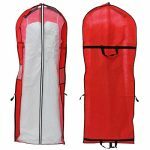 DRESS GARMENT BAG: Designed specifically for large prom gowns and wedding dresses, this enables you to travel with your puffy gown without it getting wrinkled or creased. 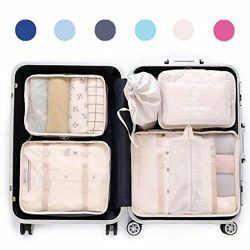 FOLD EASILY IN LUGGAGE: Pack your gown in your suitcase or carry it lightly with its compact fold. 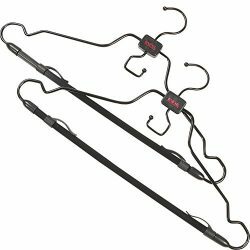 A handy folding loop fastens to your hanger to make it easy to store and carry. 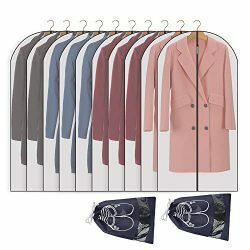 PRETTY & STYLISH: Not only long lasting and high quality, you can pick from a wide selection of beautiful colors, patterns and styles. 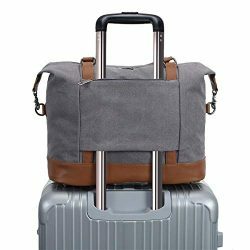 Label your bag with the hanging ID window. 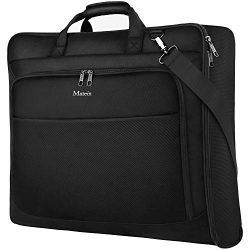 It fits so much stuff.